With so many babycare products on the market nowadays, if you’ve just become a new parent you might find yourself at a loss about what to choose and use. New mum and regular SkinsMatter.com tester Hazel kindly offered to trial a small selection of products for us – while baby Clementine was the (mostly) willing guinea pig. Here’s what they thought. Anyone who’s given birth will remember the sweet, heady smell of the first few weeks and will remember never wanting to lose it. Unfortunately with babies, they – you know – make new and nasty smells so you sort of have to wash them. So as a new mother, I faced a dilemma. As a lifelong lover of all things luxurious and perfumed, I slather myself in the latest scents, caring not whether I might be allergic (I’m usually not) but caring only that I smell amazing and have excellent skin. However, when it comes to my baby, my pure, innocent sprog with delicate skin and no notion of parabens, I want the best. And that best means natural. Having been brought up in a household where unnecessary chemicals – including all soaps and perfumes – were frowned upon, I have a slightly biased view of products which claim to be free of undesirable chemicals. Namely, that they can’t ever smell nice and that the only way to really get clean is to douse yourself in harsh substances. How wrong I was! At the risk of turning this review into the Weleda Show, I have found a solution to my new-mum dilemma – Weleda (OK – so it is the Weleda Show). 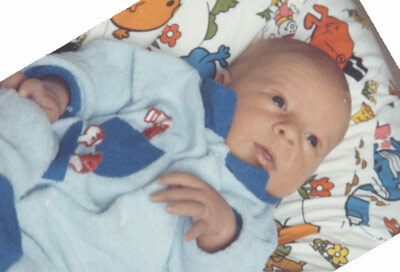 When my baby – Clementine – came home from hospital, she had post-being-born flake to her skin. As advised, we smeared her in olive oil, like a chicken leg, but (and we’re back to my prejudice here) I didn’t want a baby who smelled of olive oil, I wanted a baby who smelled of pretty things, of fruits and of bathtime! Initially terrified of using anything at all on her skin for a few weeks, I was won over by Weleda’s no-nonsense packaging but skeptical about the potential results. However, the whole Baby Range combines delicious aromas with high organic smug-factor. We used the Calendula Cream Bath (200ml, £9.95) which promises to help with cradle cap, followed by a rub down with the Calendula Baby Oil (200ml, £9.95). After a few days her newborn flake had disappeared. Whether this was just time or the product, I’ll never know, but at least she didn’t smell like a Greek salad. The range combines great, simple (and by that I mean un-babyish) packaging with a lush smell and durable effects. I am hard-pressed to say anything bad about it, apart from that it’s going to cost me a fortune to keep up my new addiction. I am now using the Calendula Nappy Change Cream (75ml, £6.95) as hand-cream and the Baby Oil has had to spread itself thin for the adults in the house. Luckily for poor Clementine, we had some Original Sprout Hair and Body Babywash (354ml, £15.95) to try out. The smell (again, a priority for me) is divine and easily doubles as ‘adult’ soap. I’m not so sold on the texture. For a newborn baby the sticky lather is a bit intense and I would prefer something a bit thinner – newborns aren’t designed for vigorous rubbing. But the effects are good and the scent lingers. The packaging manages to look substantial though and, unlike some “natural” products, doesn’t look out of place on a bathroom shelf alongside mummy’s over-priced and artificial-chemical-filled haircare products. Likewise the Mini-U Cheek To Cheek Face and Body Cream (250ml, £4.99). With almond oil and coconut, it’s really nice for adult skin and smells lovely. However the smell (it has an almond-oil base with coconut) is quite distinctive and not at all neutral so it’s no good if you don’t like almonds or feel you don’t want your baby to not smell like a baby. I wish I could be nicer about the Urtekram No Perfume Baby All Over Wash (250ml). A sniff of the bottle made me not want to use it – granted, it didn’t smell unnatural, but it also didn’t smell nice either. In the interests of science I persevered. I wish I hadn’t. It’s handy to have something to put in the bath, but I don’t think I’ll be using it again, though the colourful fish packaging is cute. Oh how I wish I’d also liked the Derma H20 Water Wipes. They arrived at a time when wipes were much needed. My partner, despite being the bravest and strongest man I have ever met, announced after Clemetine’s birth that he was slightly cotton-wool phobic. This has meant that all cotton-wool-related activities must instead entail the use of wipes. And they run out pretty fast. Unfortunately, we switched from using cheap, Simple wipes, which smell nice and do the job, to the H20 ones, which smell of nothing and feel, well, useless. Never mind. They’re preservative free and are made using 99.9% water and 0.1% grapefruit seed extract, which is, at least, satisfying to know. And so to the Konjac Natural Baby Sponge (£8.99). I love it and want to take it everywhere with me. Lovely and soft with no friction whatsoever, it’s a great thing to use to wipe a baby’s face or do a general rub-down. It’s easily rehydrated and skin feels lovely afterwards. If I had any complaint it would be that I’d like a little pouch so I could use it out and about every day with ease. 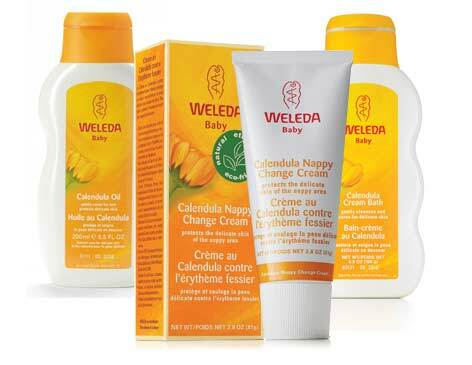 Having already been sold on the Weleda Calendula Nappy Change Cream, I do not need another nappy balm. 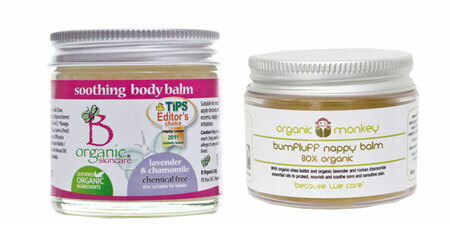 However, we gave the B Organics Soothing Body Balm (60ml, £14) a go as a nappy balm. It’s suitable for sensitive skin and eczema, and it smells lovely (lavender and chamomile) but is a teeny bit hard work (compared with a cream) and the last thing you want to do is tug at a newborn’s skin. For more baby and infant care products, see our dedicated baby products listings directory. 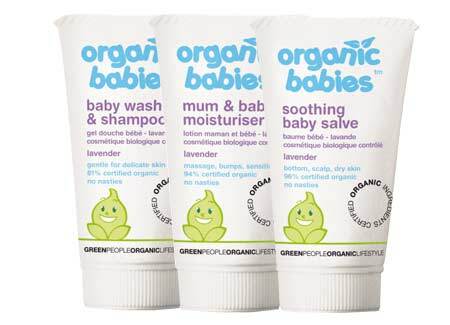 Many of the manufacturers in our natural and organic listings also offer babies’ ranges.